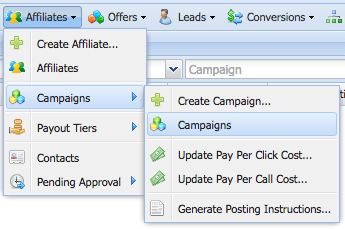 From the Left Menu within the Campaign Window, Go to Settings -> Payout & Revenue. Pay Per Call: The payout is based on every inbound call. 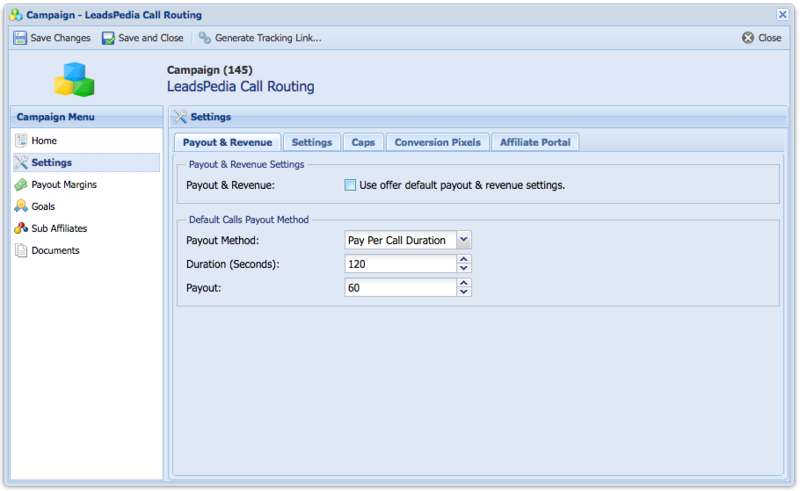 Pay Per Call Duration: The payout is based on an inbound call duration. Pay Per Transfer: The payout is based on a call being transferred to an advertiser. Pay Per Transfer Duration: The payout is based on a call being transferred and duration of the call exceeds the duration specified. Duration: The call / transfer duration in seconds. Payout: The total payout amount for a qualified call.